The former White House intern tweeted that there were agreed-upon limits on the topics of her televised interview with a well-known Israeli news anchor. 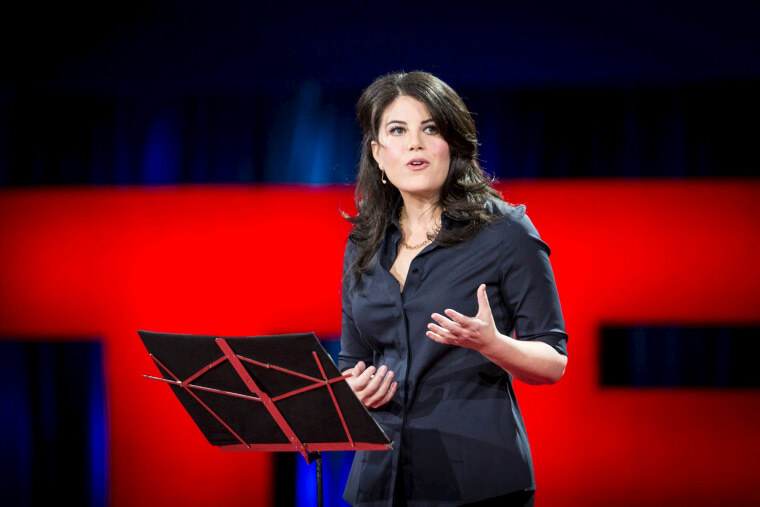 JERUSALEM — Monica Lewinsky said Tuesday that she hustled offstage at a Jerusalem speaking event because of an interviewer's "off limits" question about former President Bill Clinton. Later Tuesday, Lewinsky said she hadn't stormed off stage — but walked off as fast as she could "in heels."